Solution Provider with Hands-on and High Exposure through work experiences and study working with development tools and programs. Highly organized, possessing a strong ability to apply new technologies and software quickly and efficiently; produce work in short timeframes with accuracy; improve on customer concepts and ideas; capacity to integrate with all levels of management. IT Manager, Firstline Corporation, Valdosta, Ga.
Domain, Enterprise Administration and security. Created and built new Active Directory Domain. 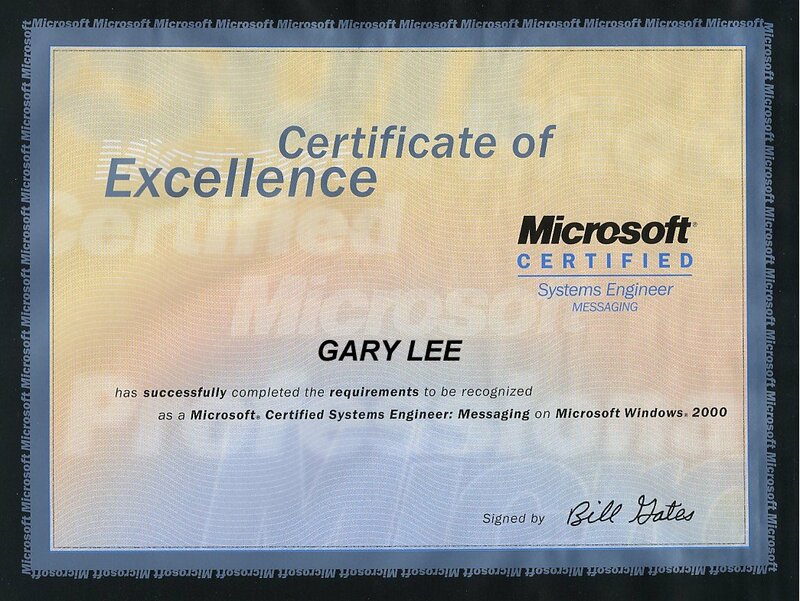 Converted Netscape email server and migrated users, groups and mail to Exchange 2000, managed user accounts, controlled restricted and unsolicited emails (spam) effectively using NEMX Power Tools. Performed Disaster Recovery of email accounts and databases. Web, Application and high-end Production Server management and Data Center Support, this involved monitoring and administration of hardware, services, applications and processes, using various tools including Argent Guardian and BIG IP load balancing, was on call 24x7. Made frequent trips to Data Center hosted in Sterling VA, servicing, installing new equipment from acquisitions and cable management. Repaired, rebuilt servers and provided support, trouble shooting issues for solutions. I was responsible for the backing up of data, rotation and recycling of tapes for offsite storage from STK 9730 and 9714 tape libraries. Legato application was used for backup and recovery of critical data. This company provided web hosting and solutions for Online Stores, Radio and Newspaper communities, driven by WIN2K, UNIX, Linux, SQL and Oracle technologies. Member of the IS staff that managed day-to-day operations of 7 sites throughout country, was accountable for initial contract negotiations with carriers, providers, and hardware and software vendors, responsibilities included monitoring of purchases, software licensing, and hardware and software inventory. 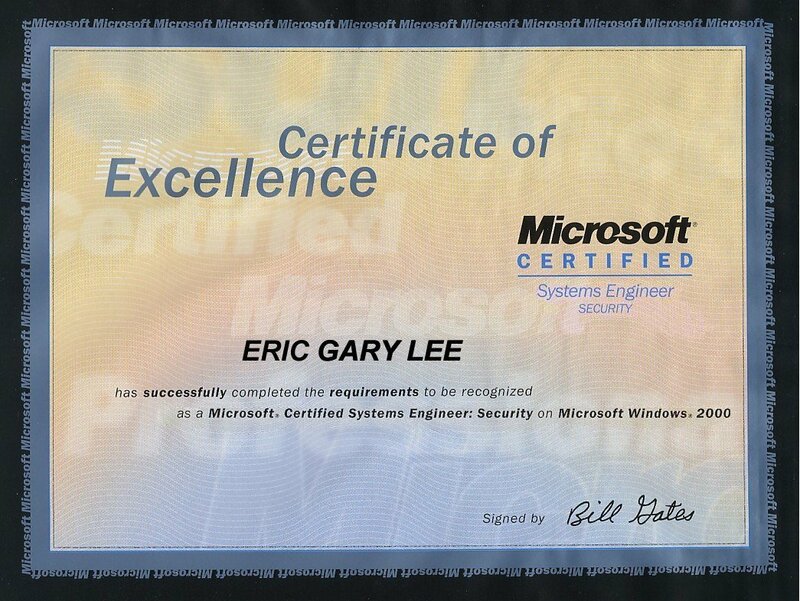 Duties included administering MS Exchange for company network, migration from NT 4.0 to Windows 2000, Windows2000 domain administration, user accounts and security management, troubleshooting issues on Intranet, creating, building and maintaining IT department’s website, providing user support, maintained workstations in LAN/WAN environment with multiple network operating systems, protocols, and platforms. Involved with Cisco in Beta Testing VPN3000 client application, also wrote user and installation guides for various applications for publication, some of my responsibilities also included design assistance and implementation budget data (5M) as well as ongoing operational budget data (1.5M), and maintaining Visio diagrams of network. Implemented and managed the Change Control Process and escalation procedures, authorizing and recording all hardware, software modifications and changes made to Data Center, after in-depth investigations of back out plans. Created test plans and tested fail-over and failure procedures, architecture downsizing to reduce overhead costs. Assisted in the preparation of plans for future development. Managed the resolution of network problems on both LAN and WAN. Projects included upgrading and configuring hi encryption VPN tunnel from Microsoft Platform to Cisco 3000 Concentrator (Altiga) for secure and better private remote access to corporation’s network, creating plans and timelines with Application Developers and QA department to ensure proper connections across LAN and WAN, understanding of applications and ensuring proper communications. Created and managed standard company images for workstation and laptop computers. A major accomplishment was implementing a workaround for the ‘unsolvable’ communication between Cisco’s VPN3000 Concentrator and Microsoft Win2K VPN. Primary contact for all monitored application alerts within the network strategic and email group, on call 24 x 7 for data center. Configured Radius Server and Concentrator for secure authentication across LAN and WAN, documented training and instructions for Support Department. Designed and built BMW’s Intranet. Project lasted for three (3) months and entailed gathering of information for publication and sharing from various departments. Real-time reports and charts were designed and created to enable viewing of up to the minute production status of cars. Request forms for equipment, materials, orders and requests were designed. Web was driven by SQL databases and queries were written to extract vital information. Automatic reports bi-weekly, monthly or as needed were generated as needed online. Built an employee info database complete with all contact info of staff. Southerncharmblinds, Apexblinds, Blindsrus, Blindsgallery, Fauxblindsusa, Woodblindsusa. Sites were developed and configured on a VPS hosted by Verio. Built POS systems for various companies which included The Supper Club in Raleigh and Oriental Marina. Provided IT Support for Duke Tower in Durham NC, installed, configured and trained Front Desk Staff to use the application, support also provided to over 114 network connections and users to the internet. Created database and custom built forms for office applications. Managing and purchasing equipment.